1. This petition filed under Article 226 of the Constitution of India seeks issuance of a writ of quo warranto, restraining respondent no.4 Dr. Sanil Kumar from holding the office of Chairman of the U.P. Secondary Education Service Selection Board (hereinafter referred to as 'Board'), constituted under the U.P. Secondary Education (Service Selection Boards) Act, 1982 (hereinafter referred to as 'Act of 1982') on the ground that he lacks essential qualification for appointment to such office. It is also alleged that no fair and transparent procedure in consonance with Article 14 of the Constitution of India has been followed in the matter of such appointment. "Heard learned counsel for the parties and perused the record. Not only the eligibility of respondent no.2 (U.P.Secondary Education Services Selection Board, Allahabad) is under challenge it is also submitted that absolutely no procedure known to law was followed in the matter of such selection. The counsel refers to the judgment in the case of Gorakpur University affiliated Teachers Association, Writ Petition No.38658 of 2015 dated 7.9.2015 for proposition that there has to be a transparent procedure before any appointment under the Statute can be made. We are not passing any interim order today as in our opinion, it would not be appropriate that respondents may produce the original records in the matter of consideration of the claim of respondent no. 4 for the post of Chairman of the Selection Board and he have an opportunity to respond to the law as has been explained in the case of Gorkpur University affiliated to Teachers Association (supra). Put up on 21.9.2015. " "On the request of learned Standing Counsel put up this matter day after tomorrow i.e. 23rd September, 2015 along with Writ-A No. 36228 of 2015, in order to enable him to produce the records and to explain to the Court as to whether any transparent procedure had been followed in the matter of appointment on the post of Chairman of U.P. Secondary Education Services Selection Board or not. " Again on 29.9.2015, the matter was adjourned on the request made by counsel appearing for respondent Dr. Sanil Kumar, in order to enable him to file a counter affidavit. As per the liberty granted, a counter affidavit has been filed by Dr. Sanil Kumar, which is taken on record. 3. Pursuant to our orders passed on 21.9.2015, learned Standing Counsel has produced the original records, relating to appointment of respondent no.4 Dr. Sanil Kumar, as Chairman of the Board. The original records produced are in the shape of two separate files, bearing same number. One of the files, which contains note sheets, is paginated whereas the other file has no pagination, documents are kept randomly. 4. The records have been examined by us in presence of the counsel for the petitioner, Standing Counsel for the U.P. Secondary Education Service Selection Board, Allahabad and State of U.P., and Sri P.N. Saxena, Senior Advocate, assisted by Sri Avnis Tripathi, Advocate, for the respondent no.4 Dr. Sanil Kumar. d`i;k vkSipkfjd vkns'k rRdky fuxZr fd;s tk;sA"
6. From the records, it is clear that prior to 15th July, 2015, there exists no deliberation mention for nomination of suitable person as a Chairman of the Board. There is also no reference of any application having been received or invited for the purposes. The record is absolutely silent about any initiation of transparent process for appointment to the post of Chairman of the Board. 7. We find that in the other file produced by the Standing Counsel, a bio-data of Dr. Sanil Kumar is available, but it is surprising to note that neither it bears any date, nor there is any covering letter forwarding the same to the State and it cannot be deciphered as to when this bio-data was received in the office of the State Government, and as to how or through whom, so as to be inducted into the official record. 8. In bio-data respondent no.4 Dr. Sanil Kumar has described himself, as the Principal of "Lok Rashtriya Mahavidyalaya, Jasrana, Firozabad". 9. We may record that it is admitted to the respective counsels appearing for the parties, including the counsel for respondent no.4 that on the relevant date, Dr. Sanil Kumar was substantially holding the post of Teacher in the concerned degree college and was officiating as its Principal. There is, thus, a deliberate concealment of fact in the bio-data that Dr. Sanil Kumar was not the regular Principal nor he had been appointed as regular Principal till date. There is a clear misstatement of fact in the bio-data. We are further surprised to note that the second file, which has been produced before us, bears no pagination. We are not able to understand as to how such bio-data could be inducted in this file and at whose instance. In our opinion, the State is expected to act fairly and to ensure that the records are maintained in a proper manner, which reflects transparency. We disapprove the practice of inducting of documents in a government file without pagination and that to without a corresponding order on the note sheet. 10. We proceed to decide the writ petition on the basis of materials, which have been made available to us. (1) The Board shall consist of a Chairman and ten members who shall be appointed by the State Government. (c) is in the opinion of the State Government, an eminent person having made valuable contribution in the field of education." 12. Sri P.N. Saxena, learned Senior Advocate on behalf of the respondent no.4 Dr. Sanil Kumar, specifically stated before us that respondent no.4 does not fall within the category of section 4(2)(a) & (b) and that his case falls in the category covered vide section 4(2)(c) of the Act. 13. It has been categorically stated before us by the counsels appearing for all the respondents that there are no other records, pertaining to the selection on the post of Chairman of the Board, except what has already been noticed above, and that no procedure in the matter of such selection is discernible from the records, as are available. (g) is in the opinion of the State Government an eminent person having made valuable contribution in the field of education." "Admittedly, the State Government has not issued any notification furnishing an intimation that there are vacancies in the Commission or that it intends to fill up one or most posts of member in the Commission. Any application which is received by the State Government for appointment is examined by the Higher Education Department from among the aspirants. This indicates that only persons, who are in knowledge of the fact that there is a vacancy in the office of the Commission, can apply and it is these applications alone which are considered by the State Government. Under Section 4 (1) the Commission is to have a Chairperson and not less than two and not more than six members. There is no intimation or information of how many persons the State Government intends to appoint as members. No effort whatsoever is made to follow a transparent or objective process by which due publicity is given to the fact that the State Government is in the process of filling up vacancies in the Commission. The procedure, which has been followed by the State, does not inspire public confidence and is liable to result in a situation where nepotism and patronage have precedence over academic standing and credentials in making appointments to the Commission. Evidently, persons who are in knowledge of the fact that there is a vacancy in the Commission, are the only persons who apply. Such information would not be available to those in the teaching community or even otherwise to the community from whom the eligible are drawn. Persons who fulfil the norms of eligibility under clauses (a), (b) and (c) and teachers fulfilling them under clauses (d), (e) and (f) would have no knowledge of the existence of a vacancy which is not notified, or of the existence of which information is not widely disseminated. The legislature in its wisdom has contemplated eligibility for membership of the Commission of persons from diverse backgrounds. Clause (a) brings in experience in the law, at a senior level of a District Judge, clause (b) of the experience of administration as a Secretary level IAS officer, clause (c) as a Vice Chancellor and clauses (d), (e) and (f) cover Professors and Principals of Post Graduate and Degree Colleges with a certain experience. Unless the likelihood or existence of a vacancy is notified, eligible persons would not have the opportunity to apply for appointment. Instead, the process is shrouded in secrecy and appointments are made from among those who know of a vacancy and of the fact that the State Government would be filling up the vacancy. This aspect must, in our view, be of primary emphasis because the Supreme Court has repeatedly, in recent decisions, emphasised the need to maintain institutional integrity in filling up important public posts under the control of the State Government. Statutory Commissions, such as the one in the present case, are conceived in public interest and discharge public functions. Their membership cannot be regarded as an instrument of conferring largesse on a chosen few. "Now, it is in this background that it would be necessary to interpret clause (g) of sub-section (2-a) of Section 4. Clause (g) postulates the fulfilment of two conditions for the formation of opinion by the Government. The first condition is that a candidate must, in the opinion of the State, be an eminent person. The second requirement is that the candidate must have made a valuable contribution in the field of education. The first criterion is a criterion of eminence. The expression 'eminence' has not been defined by the state legislature and must, therefore, bear its ordinary connotation and meaning. The expression 'eminence' has been defined in the Shorter Oxford English Dictionary to mean "distinguished in character or attainments". The Random House Dictionary of the English language defines the expression 'eminent' to mean "high in station, rank, or repute; distinguished". Webster's New Twentieth Century Dictionary of the English language defines the expression 'eminent' to mean "standing high by comparison with others; renowned; exalted; distinguished". The meaning which is ascribed to the expression 'eminent' in these dictionaries bears a common sense understanding of the expression. The second requirement which is equally significant is that the person should have made a valuable contribution, not just a contribution, and that it should be in the field of education. The formation of the opinion by the State Government must be on the basis of objective material. Clause (g) of sub-section (2-a) cannot, in other words, be utilized as a catch-all remedy to bring in persons who are not otherwise eligible under clauses (d), (e) and (f). We do notice that it may well be that a person who does not fall in one of the categories spelt out in clauses (a) to (f), may, nonetheless, be in the opinion of the State Government an eminent person with a valuable contribution in the field of education. Such an opinion must be founded on material and will not rest upon a subjective view unsubstantiated by demonstrable credentials. The point to note is that in the guise of making an appointment under clause (g), the State Government cannot obviate observance of the eligibility requirements which are specified in clauses (d), (e) and (f). Otherwise, it would be a very negation of the object and purpose of the statute. As the tabulated statement placed before the Court indicates, since 1 January 2012, appointments as members have been predominantly made by taking recourse to the provisions of clause (g). Persons who are not Professors or Principals fulfilling the requirement of clauses (d), (e) or (f) are sought to be appointed by taking recourse to the provisions of clause (g)." "The third, fourth and fifth respondents hold Doctoral degrees. The issue is whether ex facie the bio-datas of the candidates, which are relied upon by the State, indicate that they are, in the opinion of the State, eminent persons having made a valuable contribution in the field of education. The third respondent held the post of an Associate Professor in a Post Graduate College between 29 September 2007 to 13 December 2013. As an Associate Professor, the third respondent does not meet the eligibility condition under clause (d) of sub-section (2-a) of Section 4, which is of being a Professor. The only credentials which are specified in the bio-data, which is annexed to the counter affidavit, are that the third respondent has been a Proctor, Centre Superintendent, Convenor of the Admission's Committee, Incharge of Adult Education, Games Superintendent, Member of Board of Studies and Examiner for Ph.D. dissertations. Ex facie, these are not indicia of a person who can be referred to as an eminent person having made a valuable contribution in the field of education. The third respondent may have experience as a teacher, but the requirement under clause (g) is not of appointing an experienced teacher as a member of the Commission, but of appointing an eminent person who has made a valuable contribution in the field of education. The appointment is ultra vires the statutory provision. " "The basic infirmity in the modalities which have been adopted by the State is of not having followed any transparent or objective procedure in making appointments to the Commission. In Ram Tawakya Singh v. State of Bihar8, the Supreme Court, while considering the provisions of the Patna University Act, emphasised that Article 14 of the Constitution which mandates that every action of the State must be fair and transparent has to be read in the language of those provisions in which event, the Chancellor has to follow some mechanism whereby he can prepare a panel by considering persons of eminence in the field of education, integrity, high moral standard and character. In the present case, the State Government has not published or notified vacancies in the Commission. Nor has it notified at any stage that it was in the process of filling up vacancies in the office of members of the Commission. As a result, persons who are otherwise eligible and fulfil the requirements of eligibility under clauses (a) to (g), had no opportunity to be considered for appointment to the Commission. Secondly, the State Government did not prepare a panel of short listed candidates from which the ultimate selection could be made. Instead, what has been done, is that applications and bio-datas from aspirants which were received were scrutinized and after having them vetted in the Higher Education Department, were approved at the "highest competent level". The norms on the basis of which the applications were scrutinized have not been specified. There has been no competitive evaluation of the merits of various candidates. As they came and applied, so were they inducted as members. The modalities which the State has adopted are arbitrary and violative of Article 14 of the Constitution. For these reasons, we have come to the conclusion that the petitions would have to be allowed. We, accordingly, allow the petitions by issuing a writ of quo warranto, holding that the appointments of the third, fourth and fifth respondents as members of the Uttar Pradesh Higher Education Services Commission are illegal. The appointments are, accordingly, quashed. However, we clarify that this judgment will not of itself invalidate recommendations made by the Commission prior to the date of this judgment. The legality of recommendations and appointments made in the meantime, on any independent ground will be adjudicated upon in the event of a substantive challenge made in appropriate proceedings. In consequence, we direct the State Government to complete the process of reconstituting the Commission consequent upon the setting aside of the appointments of the third, fourth and fifth respondents, after laying down appropriate norms consistent with the statute and by following a process which is objective, fair and reasonable, in accordance with the mandate of Article 14 of the Constitution. " "For these reasons, we are of the view that the writ petition has to succeed on both counts namely (i) the appointment of the third respondent was without following any norm or procedure consistent with Article 14 of the Constitution; and (ii) the third respondent did not fulfil the statutory requirements of eligibility to hold the post of a Chairperson of the U.P. Higher Education Services Commission. The petition is, accordingly, allowed by the issuance of a writ of quo warranto, as prayed, and by setting aside the appointment of the third respondent. " 19. We are in complete agreement with the principles laid down by the Division Bench, in the aforesaid two judgments, which we intent to follow in the present case as well. 20. In view of the aforesaid, we are of the considered opinion that the present writ petition must also succeed on both the counts urged by the petitioner before us, namely that the appointment of respondent no.4 Dr. Sanil Kumar was made, without following the norms consistent with Article 14 & 16 of the Constitution of India and that there has been a complete non-application of mind at the instance of the authorities of the State on the aspect relating to respondent no.4 being an eminent person having made valuable contribution in the field of education. 21. We have already recorded that the only material available on record of the State to consider the question was the bio-data of Dr. Sanil Kumar which contained specific misstatement of fact with regard to the nature of his appointment qua the post of principal held by him in the institution concerned. 22. In our view, such false disclosure in the bio-data by respondent no.4 itself is a sufficient ground to non-suit Dr. Sanil Kumar from the office of Chairman of the Board which has the statutory duty of selecting teachers and principals to the secondary schools situated throughout the State of U.P. 23. The importance of the task to be performed by the Commission and the overwhelming public interest involved in due observance of the cause can hardly be overemphasized. We are pained to observe the casual manner in which such important public offices are being filled by the State. 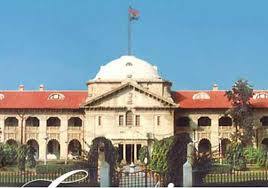 We further record that there was no material before the State Government to form an opinion, that the respondent no.4 satisfies the requirement of section 4(2)(c) of the Act of 1982, as explained by the Division Bench of this Court in the case of Gorakhpur University (supra) and Rural & Urban Development and Research Association (supra). 24. The records further show that in fact no satisfaction has been recorded in the records of the State that Dr. Sanil Kumar is an eminent person having made valuable contribution in the field of education, so as to consider him for the office in question. Even otherwise, we are satisfied that on record no material exists, on the basis of which any prudent person could come to a conclusion that respondent no.4 is an eminent person who had made valuable contribution in the field of education. 25. The writ petition, therefore, is allowed by issuing a writ of quo-warranto holding that the appointment of Dr. Sanil Kumar as Chairman of the Board is illegal and the same is, therefore, quashed. 26. There shall be no order as to costs.